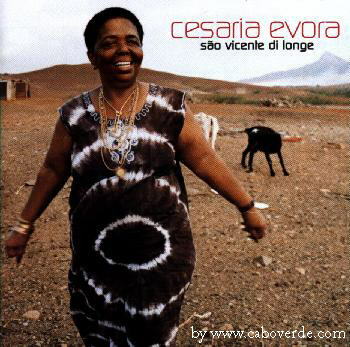 Cesaria Evora aka Cize for her friends, was born on August 27th, 1941 in Mindelo, Cape Verde. With her great voice and stunning looks she soon attracted attention, but her hopes to become a professional singer were yet to be fulfilled. The singer Bana and a Cape Verde women's association respectively invited her to record in Lisbon but not one single producer showed any interest. In 1988 a young frenchman of Cape Verde blood, Josè Da Silva offered her to come to Paris to record an album. She was 47 at the time and had nothing to loose, she had never been to Paris before, so she agreed. 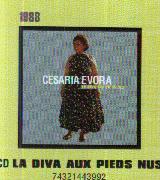 1988 First album entitled La Diva aux pieds nus, produced by Lusafrica. Bia Lulucha, a coladera with a zouk flavour was a big hit among the Cape Verdean community. On October 1st she gave her first gig in Paris at the New Morning Club in front of a small crowd. 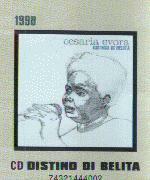 1990 Distino di Belita, her second album included acoustic mornas and electric coladeras. As its release remained confidential, her label decided to switch to an unplagged album. 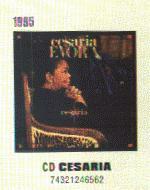 1991 Cesaria recorded her first unplagged album in France. With the Mindel Band she performed at the Festival d' Angoulème on June 2nd and in Paris at the New Morning on June 7th. Only a small audience of Cape Verde fans attended her parisian show while the french music press discovered her in Angoulème (she had her fisrt article in the national newspaper "Libération".Mal Azul was released at the end of October and a small buzz was building. 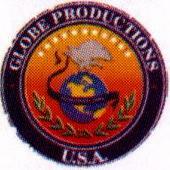 Her album was aired on FIP Radio. her next gig on December 14th at the New Morning was sold out but this time, she performed in front of a mostly European and enthusiastic audience. Le Monde stated: " The 50-year old Cesaria sings the morna with a kind of rascal devortion..She belongs to the aristocracy of bar singers." This is where the legend started. 1992 Thanks to Mar Azul, the buzz was growing among the french media, many radios like France Inter aired the song. On June 7th, Cesaria performed at the Feria de Nimes in the south of France. The album Miss Perfumado was released in October. French press raved about this new release, comparing Cesaria's smooth voice to Billie Holliday's and detailed what would soon be part of the legend: her immoderate love for cognac and tobacco, her harsh life on those forgotten islands, Mindelo's sweet nights....Her gigs at the Théatre de la Ville on December 11th and 12th were sold out four weeks ahead of time. First date in Brussels at the Botanique on December 7th. 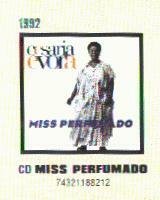 1993 Miss Perfumado became a smash hit in France (with 200,000 copies sold so far). Cize performed for the first time in Lisbon at Teatro Sao Luis (May 25th)and the local police had to prevent a huge crowd from penetrating the venue. In Paris she was celebrated by her french fans with two sold out gigs (June 12th and 13th) at the prestigious theater L' Olympia. Then she went on a world-wide tour, performing in Barcelona (June 21th), Spectrum in Montreal (July 14th), Japan (late October) and France (with 30 shows during late 1993). 1994 Caetano Veloso came on stage to accompany her during her performances in Sau Paulo (in May) and said that he considered Cesaria as one of the most influential female singers. 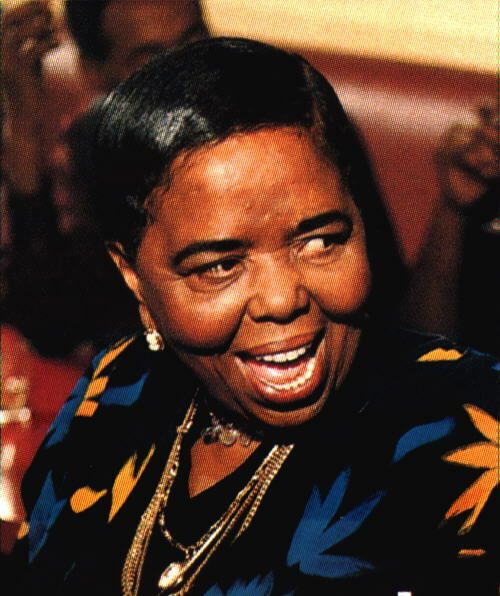 Cesaria triumphed as well in Spain, Portugal, Belgium, Switzerland, Africa and the West Indies. She was signed to B.M.G. through her label Lusafrica and the compilation album Sodade, Les Plus Belles Mornas De Cesaria was released in the autumn. She gave up drinking, but not smoking. 1996 Touring year, which included France (40 dates), Switzerland, Belgium, Brazil, Germany (11 dates),Hong Kong, Italy, Sweden, U.S.A (30 dates), Canada, Senegal, Ivory Coast and her first sold out show in London at the Queen Elisabeth Hall. She recorded a duet with Caetano Veloso for the Red, Hot & Rio project. Franco-german TV channel Arte did a special profile on her. 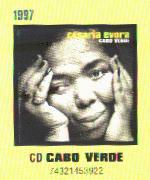 1997 Release of the new album Cabo Verde. Dates are scheduled at L’Olympia in Paris in March, followed by a world tour, including a new U.S. tour (the third). The album Cabo Verde is also nominated for the Grammy Awards. 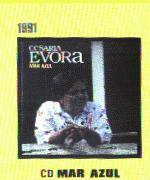 1998 Cesaria is still on the road with Bau and his band: Jacinto Pereira (cavaquinho), José Paris (bass), Luis Ramos (guitars), Nando Andrade (piano), Totinho (saxophones and percussion), and Bau (guitars, cavaquinho, violin). From Greece to Japan, from Israel to Portugal, from the West Indies to the Lebanon, 1998 is another year tour. Cesaria hits the road, but still have time to think to the new album scheduled for April 99. 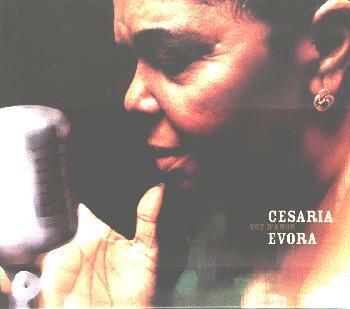 In October, BMG release worldwide the first Best of Cesaria Evora, including all of fans’ favourites, plus Besame Mucho (in spanish) she recorded earlier for the soundtrack of the movie Great Expectations. 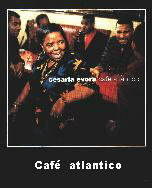 1999 A new album Café Atlantico is released in France in May, and then worldwide. Cesaria starts a world-tour in March in Greece. This tour will go through North America in September and November, and will end in Paris Olympia in December.